A précis of the concerns, puzzles and conundrums set by the natural world to a group of obsessive birders who have been meeting in a pub in Poole over the last 20 years. 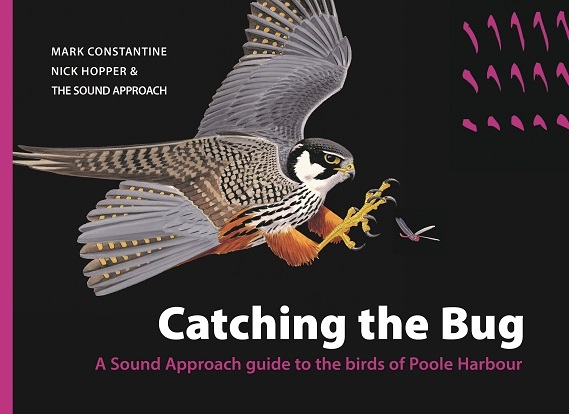 Read how tens of thousands of birds secretly migrate through the area, and teach yourself the fascinating range of chirps, cheeps and chacks for helping you discover similar migrant corridors near your home. Learn the flight calls of these migrant songbirds from original stereo recordings, illustrated and explained using annotated sonograms. Explore the idea of the Dartford Warbler being Britain’s first endemic species, along with the differences between Atlantic and Continental Great Cormorants, and the role sound has in Common Cuckoo conservation. Listen to the sounds of waders as they come and go with the tide, while enjoying the author’s stories of bird racing, year listing and being stopped by the police for possession of a super ray gun.